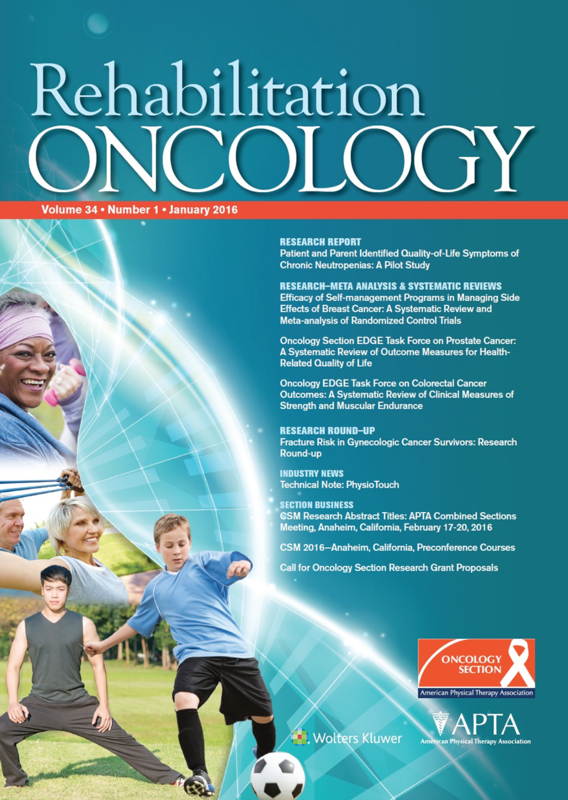 Rehabilitation Oncology is the primary peer-reviewed, indexed resource for advancing oncologic physical therapy practice and cancer rehabilitation through the dissemination of definitive evidence, translation of clinically relevant knowledge, and integration of theory into education, practice, and research. This special issue includes articles that shed light on the role of the interprofessional team in HIV rehabilitation. Permit us to take you back in time when virtually all individuals infected with HIV were dying. Human immunodeficiency virus and its assault on the immune system was essentially a death sentence until the release of the first antiretroviral therapy (ART) in 1986. Four decades later, HIV is a chronic disease for those successfully treated with ART. Assessment of functional status and incorporation of patient-reported outcomes for people living with HIV (PLHIV) is a starting point to establish standard models of care to mitigate episodic disability. Regardless of age, suboptimal adherence to ART may lead to increased viral load, immunosuppression, drug-resistant viral strains, co-morbidities, opportunistic infections and an adverse effect on survival. There is a need to educate PLHIV and prepare them for the journey of living well with chronic issues. A recently published framework may help to provide client-centered HIV care, including psychologically-informed physical therapy (PIPT). In this issue, the scoping review by Strehlau, van Aswegen, and Potterton addresses pediatric HIV by describing interventions that may help mitigate neurodevelopmental delays in children living with HIV. Physical therapists encounter PLHIV across the lifespan and the scoping review by Degnais et al. describes the use of technology to track physical activity. The perspective paper by Myezwa et al. discusses the impact of living with both breast cancer and HIV, while Dr. Myezwa’s commentary provides an international discussion of disability and rehabilitation issues faced by PLHIV in Africa. Finally, the case study by Pullen illuminates the interprofessional team’s efforts to manage chronic pain and reduce use of opioid medication over time. These contributions widen the scope of physical therapists’ practice and the importance of attending to optimal care for PLHIV. Our Academy of Oncology Rehabilitation through the HIV SIG is a place where colleagues may find resources, research and support – join us in aging gracefully. Do not forget to check for epubs, publications ahead-of-print (PAP), on the journal home page or the “collections” on the home page to speed up your literature searches. Note: For open access to the Journal, please access the journal via the “For Members” page. October is PT month and Breast Cancer Awareness month. The journal is providing free access three articles from 2018: 1. Weiss, et al. Validation of the Lymphedema Life Impact Scale Version 2: A Condition-Specific Measurement Tool for Persons with Lymphedema. 36(1):28-36, 2. Davies, et al. Detecting Change in Activity Using the Patient-Specific Functional Scale with Breast Cancer Survivors. 36(2):117-122, and 3. Forbes, et al. Changes in objectively measured physical activity and sedentary behaviour among breast cancer survivors undergoing treatment In this issue, 36(4) and already available digitally as a publication ahead of print. Share this free information with your non-member colleagues – PTs and PTAs, nurses and physicians. Do not forget to check for epubs, publications ahead-of-print (PAP), on the journal home page or the “collections” on the home page to speed up your literature searches. Look for the Abstracts of 2019 CSM Research Presentations (Platforms/Posters) as a PAP late fall and consider attending the research platforms at CSM or visit the research posters and speak with the author. Please consider submitting your research and case reports to the journal to continue to move our science and evidence for practice forward. If you are interested in HIV physical therapy and rehabilitation; look for the next issue in late January 2019 with Mary Lou Galantino and Davis Kietrys as guest editors. Rehabilitation Oncology Journal Podcast: The official podcast of the Rehabilitation Oncology Journal for the Academy of Oncologic Physical Therapy of the American Physical Therapy Association (APTA). As a way to summarize the excellent work and outcomes of our many Oncology EDGE Task Forces, an annotated bibliography has been developed as a quick reference guide. The EDGE findings and recommendations are categorized by diagnosis and/or condition (when not diagnosis-specific). The goal is to promote the utilization of evidence-based outcome measures across settings in order to provide continuity in oncology rehabilitation.